For a LIMITED TIME you can try out this program for FREE for the first 7 days! If you like it, you will be billed on the 8th day of the program. And as a special bonus, those who continue on with the program will receive a FREE strategy session with Damon (valued at $300). We believe in our program, but most importantly, we believe in you. We think you're going to love what you see happening in your life as you embark on this new transformation. But if for any reason you don't, simply cancel before your 7th day and you will not be billed. No harm, no foul. 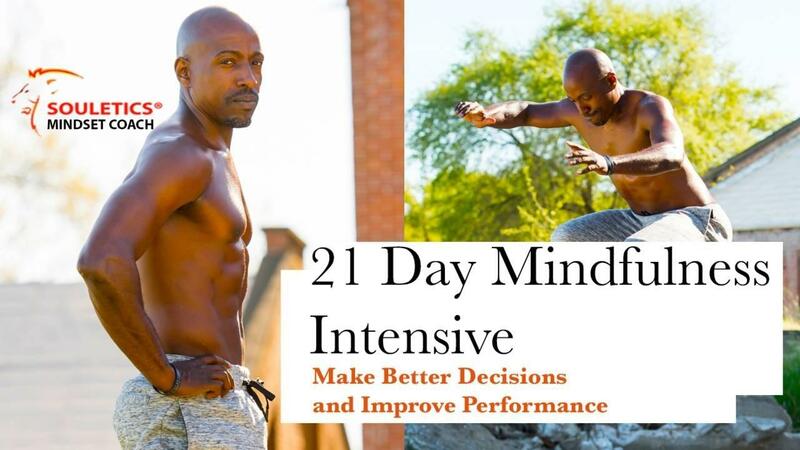 This program is specifically focused on identifying your personal obstacles and increasing your awareness and decision making so you can create an environment for peak performance in all areas of your life. Daily meditations will help you train your conscious and subconscious mind to begin running a new program - a program that's wired for success in every area of your life. Each day you will have access to a short video and worksheet. For best results, we recommend reserving approximately 20 minutes around the same time each day to complete each lesson. Remember, this is an investment in your growth, in your future! Additionally, you can access our meditation portal at any time to undergird your daily lessons. Each meditation is less than five minutes. Give yourself this time to be still, reflect, and refocus. If you stick with this program for 21 consecutive days, you will have created a new habit that will bear positive fruit in every area of your life! You will have access to this program for a full year, so you can log in at any time to complete the lessons at your convenience, and return to them throughout the year as needed. Additionally, Monday evening at 6pm PST we will be hosting live interactive trainings that you can access from your computer, tablet or smart phone. These trainings will keep you on track throughout the year, as well as give you direct access to Damon, allowing you to ask specific questions about your goals and challenges. If you can't join us live, you will have access to our recorded sessions the following week. So, are you ready to transform your mind and change your life? The only way to beat procrastination is to take immediate action, so take that first step in creating the change you want to see in your life. Don't let fear and doubt hold you back any longer. Take that first step so we can walk with you and help you grow into the person you know you can be. Don't wait any longer. Get started today!